Never in the my personal history of thirty years of running in Toronto has there been such an astonishing weather. WooHoo! The photo above is from a run I did the day after returning from our trip to Arizona and New Mexico. 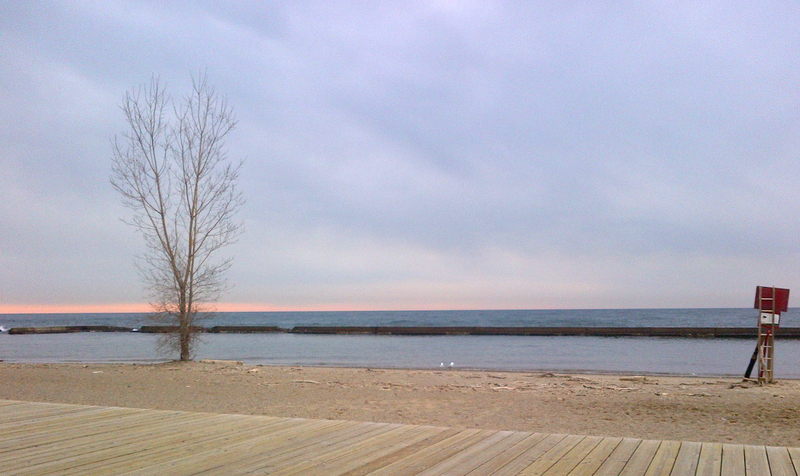 Today my eight miler down by the lake was about as good as it gets in the winter. The wind gained force through the day but it was nicely in check in the morning. 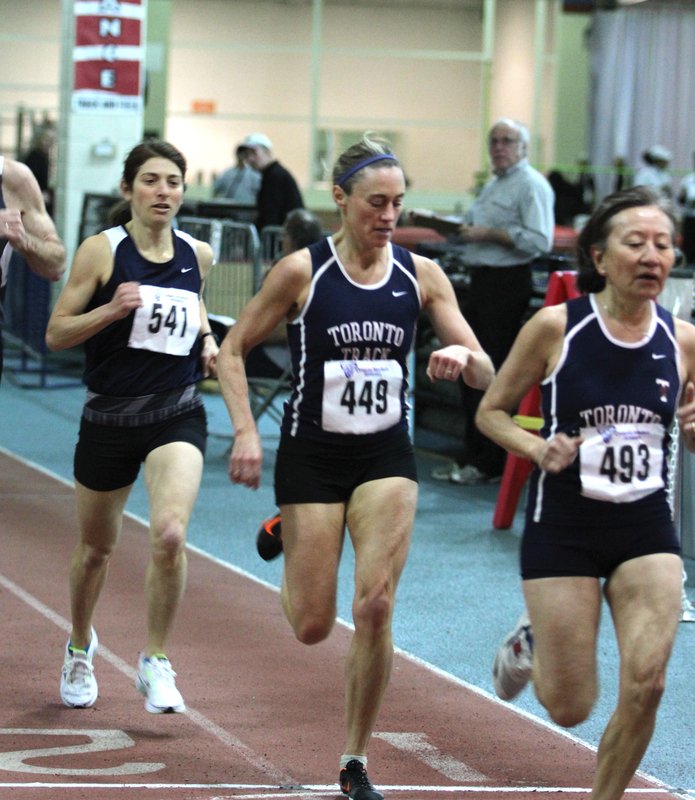 Yesterday I ran 1500 meters at a masters provincial track championship. With many years of racing under my belt, there are rarely surprises when it comes to racing times. However, the injection of speed work over the past month set the stage for a time 10 seconds faster than my stretch goal and a vast improvement on my mile time run a couple of weeks ago. Something akin to going from a 4:10 mile to a 3:58 mile in a couple of weeks. According to the AGE-GRADED-CALCULATOR the bible of the masters runner my time was equivalent to an open time of 4:41.3. Very encouraging. 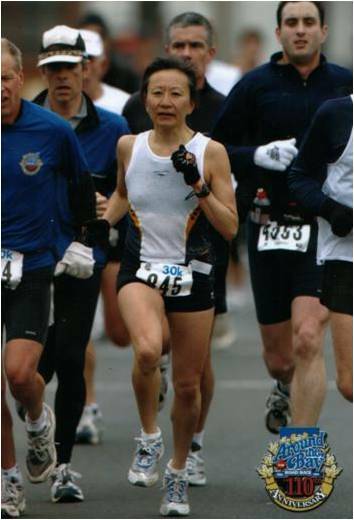 One of my goals is to get fast enough so to avoid being lapped by my very speedy and younger teammates, one of whom won her age-category this year in the Fifth Avenue Mile. That is world-class running! On the heels of my NYC Marathon disappointment I registered for the Around the Bay 30K however I’m so enjoying the prospect of more track and doing a fast 5K that I’m going to pass on the 30K. As for my training, I’m going to err on the side of speed. Holding back on mileage in favour of good quality speedwork. Although for me, holding back on mileage means not going over 70 miles or 114K. Why do I run so many miles? I’ve always felt that I have more speed than endurance but I think I went over the top on that count and I’m really excited to change my focus. I’m hoping to be running like a lion in March! Categories: Marathon, Masters Running, New York City Marathon, Running, Training, Winter Running | Tags: Fitness, Marathon, Masters Running, New York City Marathon, Running, Winter Running | Permalink. I’m trying to boost my mileage a little but this week had to be satisfied with matching the 45 miles or 72K that I ran two weeks ago. Commuting to Mississauga for a four day in-class session of my four-month course cast a pall on my running ambitions for the week. To make it to my destination meant leaving home around 6:45 a.m. Adding to this were two evening engagements with start times not far off my usual bedtime on days when I leave home for work at 9 or 10 a.m.
I’ve been too busy to write much about my renewed commitment to increased racing fitness but joining a track club was something I finally did in January after nearly two years of thinking about it. My 2012 drive to get fit was set back by turning my ankle and a bad cold over the couple of weeks while I was on holiday and this week’s challenge was to merely maintain my momentum. 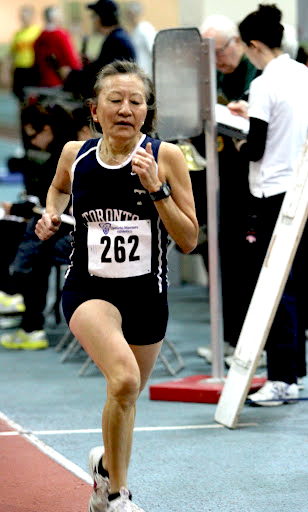 But I’m excited about applying myself to speed work with the track club and feel confident that I can maintain this momentum alongside my volunteer commitment of organizing the People4Kids Gala to take place on Thursday, May 3rd at C-5 in the ROM. Part of my confidence is due in part to focusing on quality rather than quantity over the next few months. Last year at this time I was hoping to run a marathon however, the commitment to high mileage was too much to maintain while organizing the gala. I’m also banking on the hope that having a club to train with at regular times will reduce the amount of determination I need to get myself to do interval sessions. My husband joined me at the hotel in Mississauga and assumed the stress of commuting to his workplace. Thankfully, the week was not as crazy as expected as the two hour commutes back to Toronto did not materialize as I received a lift home on three of the days. This allowed me to nap on Thursday before attending the gala opening of the auto show. 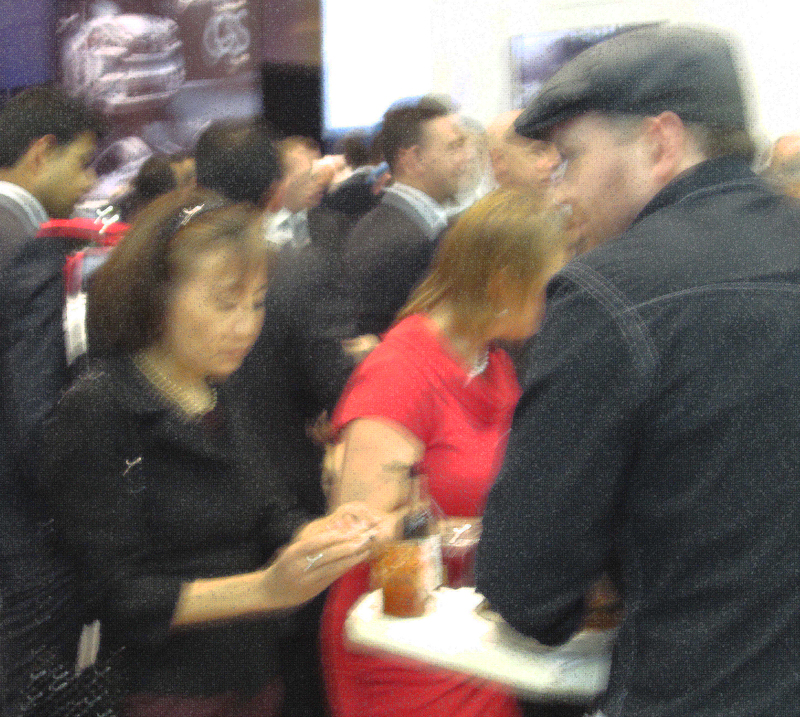 This event is very popular as there is a lot of complimentary food and drink. In order to conserve my energy I did not take advantage of the drink offers other than juice and coffee but was extremely happy to enjoy the free oyster bar among other things. 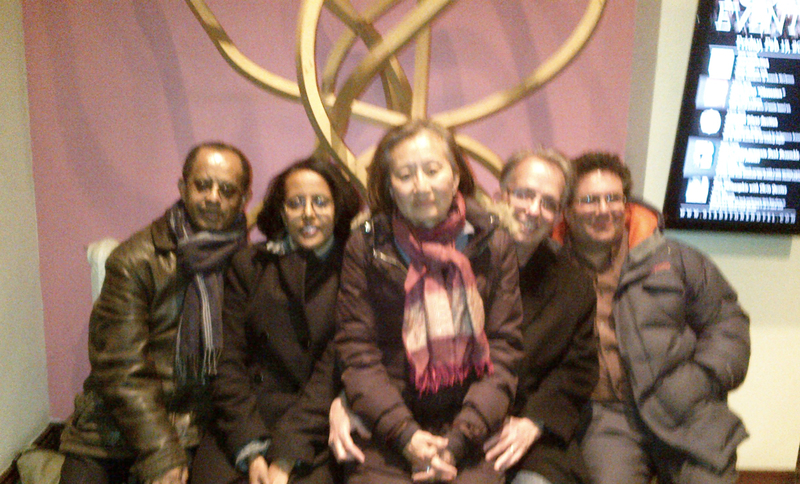 On Friday, I was also able to nap and along with members of the gala committee went to hear Waleed Abdulhamid perform. We were in negotiations to have him play at our gala and were well satisfied by his performance that he is our man. Saturday morning brought sludgy snow and overcast skies which made getting out the door, with no company, difficult. But my husband reminded me of how lucky I am to be able to run injury-free and tells me that I have to run for the two of us, thus helping to prod me to hit the roads. Part of the process of getting out the door involved downloading some new music and creating a new playlist called “long run”. I had fully intended to run to the Athletic Centre at U of T and run indoors but as I left the house it stopped snowing and the sky cleared. So with uncleared sidewalks predominating I decided my best bet was to run along Bloor the whole way, which I did for a very long stretch from St. George to Woodbine. I ran back the exact same way. Not bad for a winter run but the tips of crocus leaves have been showing for a couple of weeks and wouldn’t it be nice if spring was early this year. Training without the company of my favourite training partner, my husband over these past few years has proven a challenge however his encouragement is at the top of the list of my arsenal of motivational tactics and inducements to get out the door nearly every day of the year. Categories: Exercise, Marathon, Running, Training, Winter Running | Tags: Masters Running, People4Kids Gala, Running, Training, Winter Running | Permalink. Kudos and congratulations to all those who took part in this historic road race today. It is the Ontario road runner’s equivalent of a season-opener. While out on Friday we ran into an acquaintance who asked if I was running on Sunday. I drew a blank. 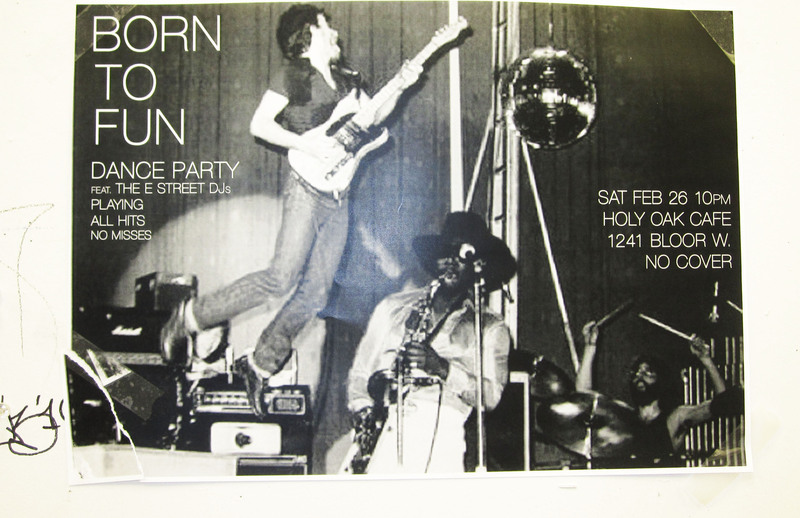 It was only on Saturday morning that it struck me that this was the weekend of one of Canada’s foremost long-distance races, the Around the Bay 30K in Hamilton. How could I forget?! Many of those who have been training diligently through the winter have been driven by the goal of racing this 30K. Last year a record I had established in 2006 was broken. A new course (and Canadian) record for 30K of 2:07 was set by Jennifer Ditchfield. My goal when I set the record was to run under 2 hours and 10 minutes. I was disappointed to run 2:12 and that did not feel easy. Around the Bay on a warmer day. My friend Michal Kapral, a.k.a. the joggler jumped in around 25K and ran with me for awhile. I told him that I was fading and wondered out loud whether any masters women were closing in on me. He immediately started running backwards and let me know that I was in danger of being picked off. That is when I learned that sometimes it is better not to know. Ignorance is more blissful than having a set of eyes in the back of one’s head. The rival masters runner did pass me and it felt worse knowing that this was a possibility so far in advance. Michal at one time was considering trying to set a Guiness record for the backwards marathon. He holds or held, the record for a marathon pushing a baby jogger and for running an entire marathon while juggling three balls. He has also won the Toronto marathon in a time of 2:31. With my plan to run Boston next year, it is doubtful that I can do the 30K as it is my view that many a runner has left their Boston best, down by the bay. It is a challenging 30K route that when raced to the full, is not far off the effort of running a marathon. With 3-4 weeks separating it from Boston, there is not much time to recover to put your best foot forward at Boston. This has been the subject of ongoing debate among long distance racers and their coaches over the past century. Categories: Boston Marathon, Marathon, Masters Running, Running, Winter Running | Tags: Around the Bay 30K, Boston Marathon, Joggler, Masters Running, Michal Kapral, postaday2011, Running, Training | Permalink. Due to the promise of 6C in the afternoon I decided to skip my usual morning run, and run home from work. I am now in the enviable position of living one mile from where I work and just loving the quality of life that comes with it. But, it does mean that this run involved a 6 mile detour. The direction of the detour was dictated by the wind from the southeast. Steps from work, is a path that is part of my route from home so it was south to the lake and then a right turn west with a bit of a tailwind. While not as warm as I had hoped, it felt great to end the workday running along the lake and then through High Park and home for a total of 7 miles. This winter reminds me of living in Ottawa where one inevitably lost memory of what spring is like by the end of it. In spite of this taste of spring, I’m finding it hard to imagine running in shorts and a singlet. Categories: Poetry, Running, Winter Running | Tags: Poetry, postaday2011, Running, Spring, William Blake, Winter Running | Permalink. Indoor Track – 3000 Meters – 2003? I haven’t felt really perky this last week following my speed workout at U of T. And in the last leg of my 14.5 miles on Saturday I stumbled while running down Christie street and pitched forward completely sliding on my hands along the sidewalk. I was able to pick myself up and continue running but I had a bit of stiffness afterwards from the jolt. Then yesterday I did a bit of gardening which I find very hard on the lower back so this morning I was feeling quite stiff. When I hit the cold morning air, I decided to head straight for the treadmill at the YMCA where I did a very slow five miler. My thoughts are coming together on the marathon I’m supposed to be training for. I’ve been doing a lot of research but have been unable to come up with a stand-in for Boston. I considered the London marathon but that sold out ages ago. I’m pumped for Boston 2012, and New York 2011 so I’m on the verge of deciding that I’ll start my training for the fall NOW and skip the spring marathon. The next 7 weeks are going to be crazy with gala work, so I won’t be in great shape this spring anyhow so fall marathon here I come. 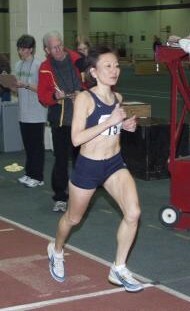 A part of the decision to skip a spring marathon will be committing to regular speedwork with the Masters group at U of T. For the first time in my life, I’m finding it hard to increase my mileage and increase the quality of my workouts in tandem. With the longer build-up I can take my time to get some speed back and then start building my mileage. So there you have it, my short-term goal. The medium term goal will be to run some shorter distance races once I get a bit of speed back. If things go well, maybe I’ll even do some outdoor track. Categories: Boston Marathon, Marathon, Masters Running, Running, Training, Winter Running | Tags: Boston Marathon, Marathon, Masters Running, postaday2011, Running, Winter Running | Permalink. It wasn’t until I took a hot shower a couple of hours after my run this morning that I warmed up. Brrr . . . winter rain, nothing like it. 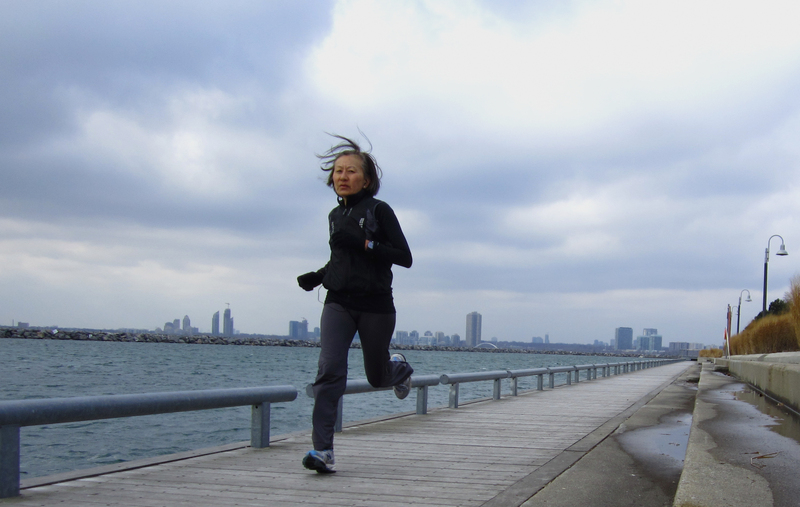 Rainy weather in the transition months of March and November can make for some miserable runs. So what to wear on days like this? There is a big difference between running more than an hour in this weather. After an hour or so water repellency and even waterproof Gore-Tex begins to break down. The temperature upon leaving home at 7 a.m. was +3C with a 9K southerly wind. 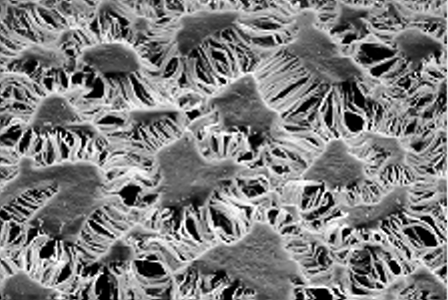 Gore-Tex membrane under an electron microscope. Size of islands about 10µm. This was my cold rain gear of choice: ball cap, long-sleeve wicking top, Gore-Tex jacket, 3/4 capri tights under single-layer warm-pants, ankle socks and Gore-Tex mittens. This was comfortable enough for the first rainy hour but eventually my mitts were soaked and I had to head back into the south wind and my hands got so cold that I could barely manage to unzip my pocket to find my key. As I write this my husband reminds me that I rushed into the bedroom this morning, waking him with the news, that “It’s a mess out there!” He says I’m losing my nerve for facing the elements. And, he’s probably right. I think my diminishing resolve is due in part to the absence of a solid spring running goal but I’m working on that. I sent an email to my Saturday run pals warning them that I may only run half of what I had planned. In the end, I ran 10 miles, four miles short of the pre-rain plan. My reward for 10 miles in the rain was a bowl of Canadian Colada Oatmeal a tribute to my favourite Booster Juice smoothie, The Canadian Colada. 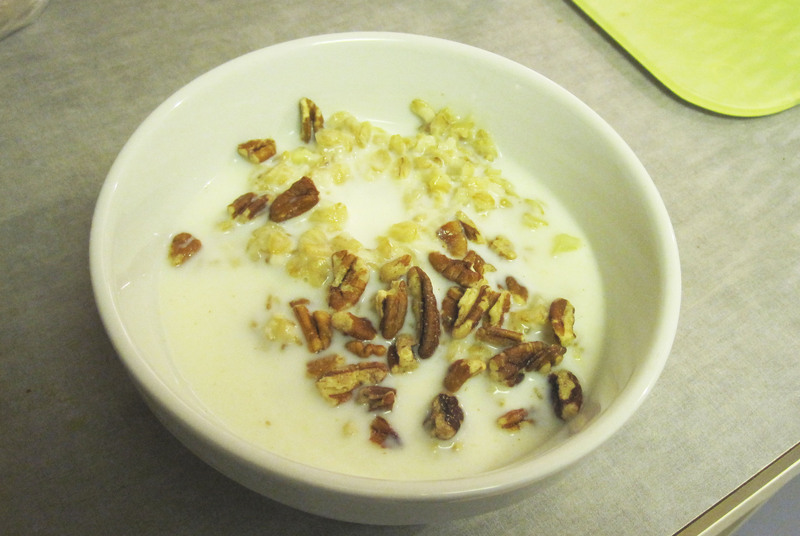 I wonder if anyone has ever made oatmeal with coconut milk, pineapple bits and shredded coconut, topped with maple syrup, pecans and cow’s milk? It wasn’t bad but I think I have some work to do on the proportion of ingredients. As for Booster Juice, three cheers and hip, hip, hooray and a carrot juice toast. Booster Juice has agreed to be one of the People4Kids gala sponsors! Categories: Food, Running, Running Gear, Winter Running | Tags: Booster Juice, Marathon, postaday2011, Running, Running Gear, Winter Running | Permalink. Who has felt the wind? With the rise in temperature, I guessed that a modest southeasterly head wind would not prove overly challenging. So off, I went down for a 9 mile run with 3 miles along the lake. 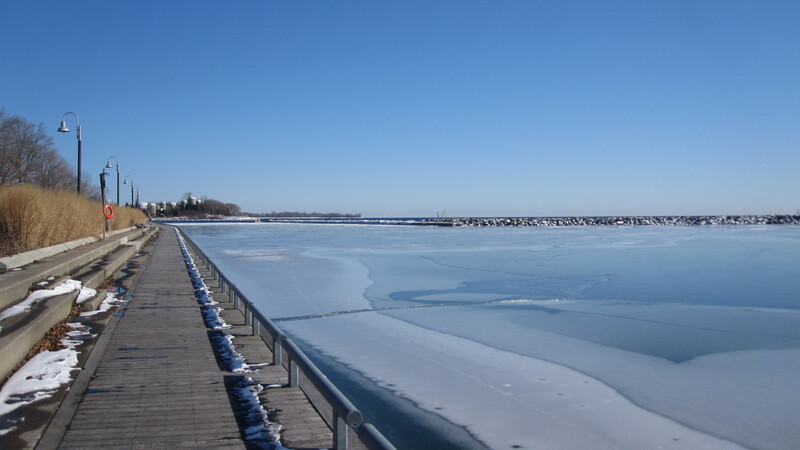 I forgot how bitterly cold the wind coming off the frigid lake and ice can be. My fingers were never colder this winter, than after taking my mitts off to take photos. My 1 minute sprints were taxing and midway, while waiting for a green light the thought of quitting trying to run fast times went off like a tiny bell rung by a more sensible me. Aargh, ugh, egads . . . that was hard. I don’t mind feeling spent if I’ve run pushed my body to the max, but fighting the elements is just frustrating. I suppose it is about mental training but it is just darn hard to run fast in the cold. I staggered into the locker room at the Y, decided to skip the planned weight work out and headed home. WINTER, I’m officially fed up with you! 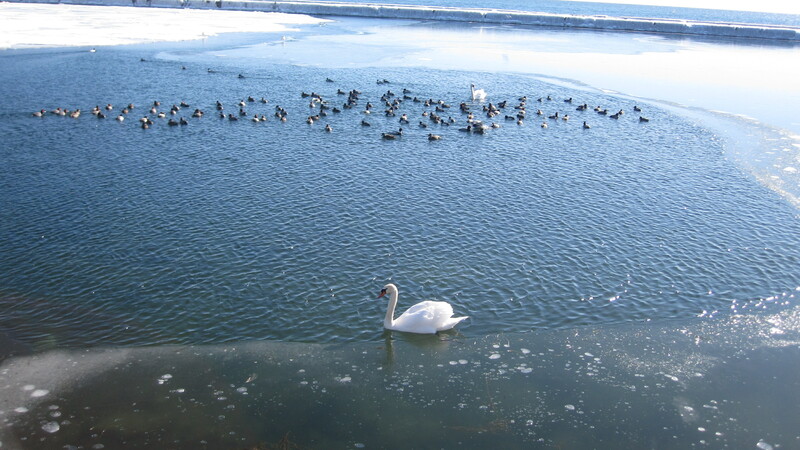 This swan was hoping I had food. Later in the day my spirits improved as I made my way to my last photography class at Ontario College of Art and Design (OCAD). The evening sun, boding spring and then a quick pre-class trip to the Art Gallery of Ontario where things were really hopping. 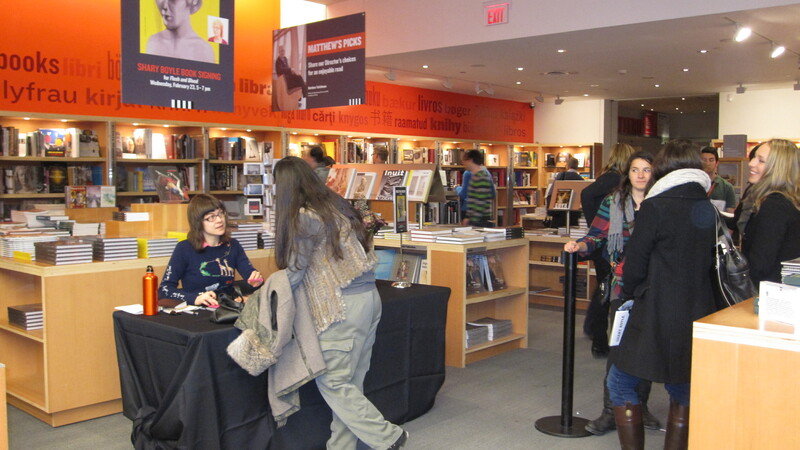 I checked out the sales at the gift shop and noticed a cordoned line-up to see artist-writer Shary Boyle. The foyer of the gallery was quite full of visitors taking advantage of free Wednesday night admission. Ah, Toronto, the 4th best city in the world to live. Although, still lots of room to improve, as noted in the United Way newsletter we received today, highlighting the impact of the recession, Vertical Poverty (poverty by postal code). So an outing to arts central Toronto cheers me up and I spot this poster at OCAD that gives me pause to consider options other than that of winter running into headwinds. What is your idea of fun? Categories: Culture, Running, Winter Running | Tags: Photography, postaday2011, Running, Winter Running | Permalink.